The hottest wedding trend today is having your own Instagram wedding hashtag. It is an excellent way of documenting and creating personalised wedding “digital albums” that can be viewed and reminisce years down the road through the Instagram app. 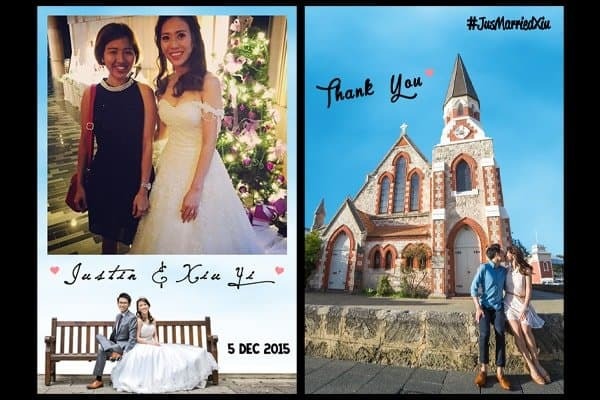 And if viewing all these photos are not enough, then our Wedding Hashtag Printing service (also known as Live Instagram Printing service) is the perfect solution for you. Our Wedding Hashtag Printing service offers you and your guests on-site printing of all the photos posted on Instagram tagged with your wedding hashtag. After your guests have taken a photo using their smartphone, all they have to do is to post that photo onto their public Instagram profile, and then tag it with your wedding hashtag. Instantly, our wedding hashtag printer will be triggered. Our proprietary Live Instagram Printing software will then kick in to embed that photo with your fully customised printout design and then get it printed out instantly. How does our Wedding Hashtag Printing works? 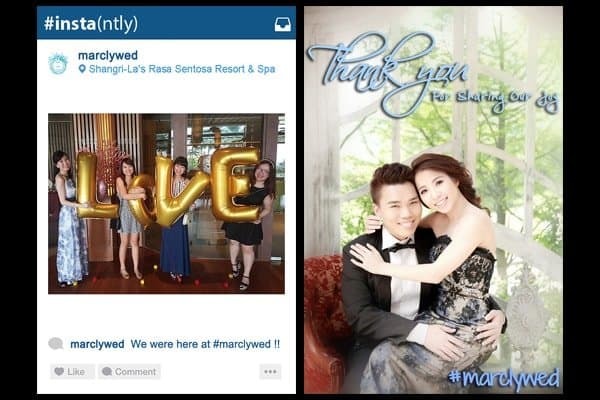 All photos (hashtagged with your wedding hashtag) will automatically appear on our printing portal. Your guests can now come to our printing portal (a touch screen) to select the photo that he/she wish to print. 3 The main job of our staff on site is to facilitate the printing process and help guests to take photos when needed. He/she is not responsible for engaging and crowd-pulling guests to take photos and utilise our Wedding Hashtag Printing service. 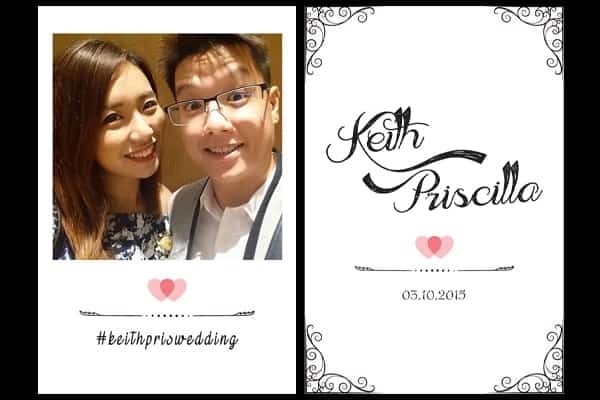 For our Wedding Hashtag Printing service, we will arrive 1 hour beforehand to set up. 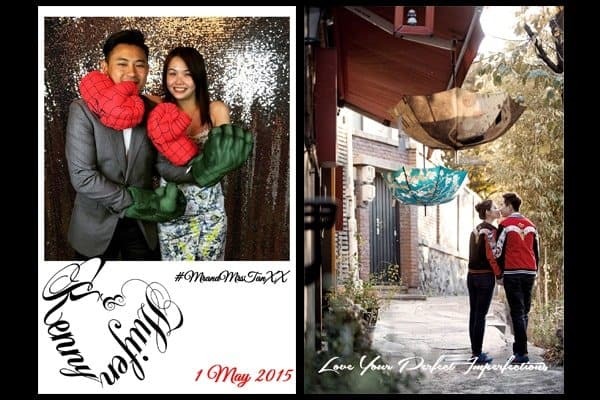 Do you provide backdrop for your Wedding Hashtag Printing service? No, we do not. 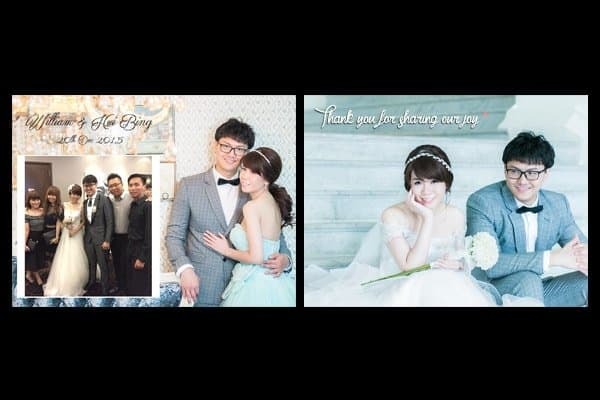 Reason being, the beauty of our wedding hashtag printing service is that anybody can take photos anywhere and then get it printed out instantly through the usage of the Instagram app. 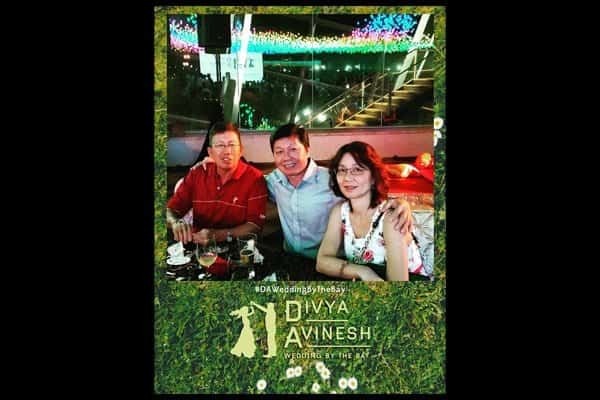 If we were to set up a backdrop at your wedding premise, then from past experience, everyone will just be standing in front of the backdrop to take photo. This is essentially like a photo booth service instead. 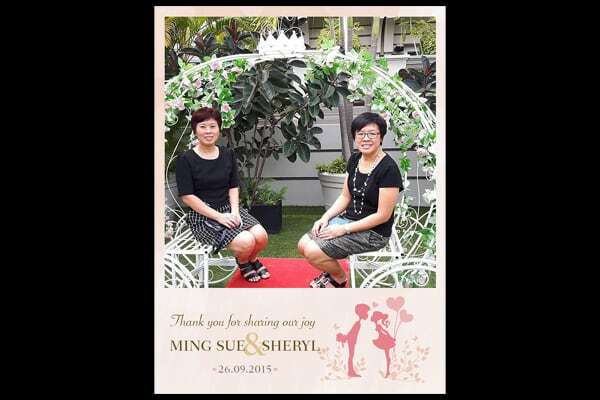 Nonetheless, if you really prefer to have a backdrop at your wedding, do consider our wedding photo booth service instead. Crowdsource your wedding photos. The #Instagram way.